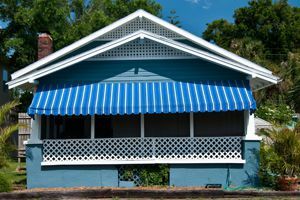 Rollup Shutters & Awnings, Inc. Comment: I needed to have my roof replaced and the awning, which was attached to the roof needed to be removed. I need the awning to be re-installed on to the house, not the roof. The awning is a Sunsetter, 14 foot, non-electric that is 4 years old. All hardware from the removal is present. Comment: 1 am looking to cover a 16 Ã16 portion of a large ground floor deck attached to the house. Screen ing is optional. Looking for basic cost and possible option for use year round if reasonable. Comment: Awning motor does not work. Awning 20x10. Would like to repair or replace. Comment: I need to get an estimate on reversing my roll out cover. Holbrook Awning Companies are rated 4.60 out of 5 based on 55 reviews of 6 pros. Not Looking for Awnings Contractors in Holbrook, NY?